We were live this morning discussing the Olympus E-M1X and answering questions from our community. You can re-watch the video here, and we'll try to address those questions we couldn't get to, in the comments below. 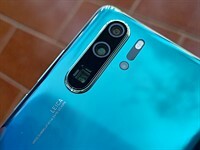 I think the pana G9 is the same quality and speed, but half price. Why didn1t work Carey's microphone? Any pro or non pro sports shooters that would try this system to replace current one or try to see if it’s capable? I can see some news & sports pros being curious about this "little" camera and wanting to try it out alongside their Nikons and Canons (if suitable lenses are available). Ultimate image quality is not the most imporant thing for them. IQ just needs to be good enough. I agree. Picture quality, judging from DPR's gallery, is quite good enough for newspaper use, and of course far above that required for the web. Wow, they don't have the auto focussing issues that Chris talks about. Indeed, they praised the AF system! Wonder who to believe. Turning this into a political argument by adding misinformation is not helpful. Please watch C&J video again and see where it failed. It's in there. Same sensor as the E M1-Mark II. The problem then is that's why I'm selling my Mark II. The dynamic range just can't cut it for me. Even worse the resolution and high ISO performance. Using full frame cameras at the same time simply makes using MFT untenable. We don't always need high resolution. quite a size and weight difference, especially with some airlines enforcing carry-on weight limits of 15 pounds (Quantas for example). I have an EM1 and the image quality is good enough for most indications. - The E-M1x can do pretty much all, in good light. - Good light in sports = daylight events, or well organized, high level events night/indoors events. And stuff like hockey or figure skating, requiring fast speeds in dim lit conditions will always be difficult. - The professional photographer that gets assigned to such an event would usually have well established channels of transportation, etc. He/she would be a big shot anyway. So hauling FF gear wouldn't be as bad as it is for us amateurs. - Joe Photographer jumping from local event to local event to cover regional events would still hit the bar of not-so-perfect light conditions (as opposed to bigger events), and would be precisely the one who would still need to haul FF gear. 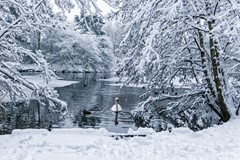 - For (fast) nature photography, everything outside of sunny clean conditions would still be a no-no. Yeah, I'm very surprised that this E-MX1 gets so much media content about it. Big ads budget? I may be leaving Olympus, but your claims are absurd. This new Olympus should be a welcome change in that it allows DPR to focus for a few days on something other than Sony or Nikon, Sony or Canon or just...Sony. As has been said, "you are entitled to your own opinion, but not to your own facts." 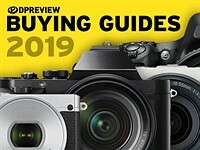 Did you miss the extensive very recent coverage of the Nikon Z6/7 release, not to mention the detailed comparison of Sony's, Canon's and Nikon's mirrorless models. No person making a living from shooting sports would buy this camera. @Offside, like I heard this BS around 2003 that nobody that considered even remotely being a pro would ever use a digital camera. Good job with your predictions of what pro people will do (hint, they will very remotely try anything that works well for them). Olympus failed in one area. They needed to match the GH5 Video -- with a body this big -- it shouldve had 4K60 and 10 bit internal. Missed opportunity. This camera may have been a success if they did. They have repeatedly stated they are focused on still photography. Yep. But then Olympus has always emphasized their main concern is still images. that looks like a perfect epitaph. 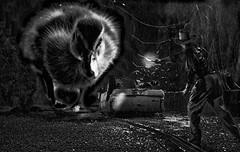 Oly is focusing only on still phitography, while the World focuses on movies. Why they are blind to this, is very annoying. "They have repeatedly stated they are focused on still photography." "Then they shouldn't have added pro video features like that OMD-LOG"
Enough said. Olympus is only reducing their potential buyers.They must be allergic to making money or something. I have little interest in video myself, but I agree that this camera needed excellent video to really find its niche. It can't compete with Canikon for serious sports stills shooting because of the sensor and pro support factor, but for people who do a more varied range of work which includes sports/action and video, great video spec could have swayed quite a few. Sounds like the video is pretty good, but given the processing power already in the camera, they could have upped the video specs with a bit more effort in that area. I never shoot video either -- but they have to appeal to a broader audience, excellent video would've helped that, and made the price more palatable. They have no excuse not to have done it. They can't say the camera is too small to do 4K60, or doesn't have enough processing power. I can't understand what the barrier is now? are there contracts with Panasonic or Sony that they cant have top level video specs? Its just baffling . They said they listened to Pro's I cannot believe the Pro's didnt ask for better? I might imagine the next update to this camera down the line might include 4K video and great codecs. Why not? If this camera can do sports or wildlife and also video at 4K, that might improve the appeal. GH5 is widely accepted and used for professional video. Why hadn't Olympus tried selling this feature more where there is certainly a market especially in 4K to match Panasonics m43 G9 and GH5. Maybe a few design tweaks could make this happen in another update to this camera, or maybe a sister camera. GH5 is a fantastic video camera, so could Olympus if 4K was invested in its development, in my opinion. Not sure who the buyers of this camera would be? 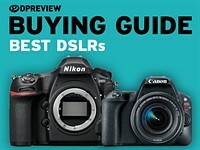 When choosing between Nikon, Sony, and Canon for sports shooters for example, and low light vs. sensor size (larger sensor size wins at providing better low light image quality, not as big a deal in daylight sports though, so this camera could be used for that part). Are smaller lenses a big draw due to weight. By today's image quality standards, too expensive for such a small sensor. You can have a full frame system for the same price. Wrong product positioning. What full frame body can you get for €3000 with these specs? They are no FF options with those specs at that price. And the IQ of FF is not the only consideration. Especially when it's nor meaningfully better in any scenario other than shooting in very low. Light. Past 10 frames per second, the extra frame rate will make the user have to delete most of the frame. 60 FPS is an overkill for photography. Any of the new FF models priced around 2K and 2.5K will be fast enough, and the large sensor will allow better images indoors. For indoor sport shooting, I'm afraid the E-MX1 will struggle to deliver good images at ISO6400/12800 with an f4/5.6 lens. With that kind of 4/3 sensor, you need f2 lens. Seriously? Educate yourself. The entire focal range fro. 7mm through 150mm is covered with Pro f2.8 constant aperture glass. Even the Pro 300mm is f4. I don´t get these questions. What FF with these specs? What specs? 60 fps but no AF? Ask Sony, they will help you even with a high res model. The announced Zoom is F4.5. And the statement that FF is not meaningful better except in very low light? Yandrosxx, did you ever made a comparison with the 1mII? You can't be serious or you are defending your investment, what is not necessary. MFT can deliver good pictures in certain situations of course, but its nearly as good as a new FF camera, not dynamic range, not the clear color areas like the Sky. No way. Does not make MFT a bad thing, especially the smaller cameras and the tiny lenses, but be true to yourself and just look at the pictures. You can have a FF Leica for twice the price, but there's a catch. Just a rangefinder camera, no IBIS, no electronic shutter, 24MP only, no weather sealing, etc etc. sounds like Oly succeeded in keeping you as a customer. f2.8 is too slow for micro 43 sensor size, that's the problem. Some background music would have helped. 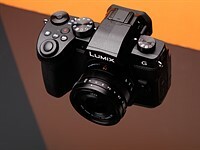 Say good news is coming soon...LUMIX S1R. Such a big camera with a tiny sensor..
7.5 stops of stabilisation, 60fps RAW, 18fps AF-C, build to last, great ecosystem, great usable software features. I would go for the E-M1 Mark II, but this is a real pro tool for people who actually use the camera and make money, not for forum worrier's. For those who want to spend less money Olympus has the E-M1 Mark II. Still a great body at a nice price point. @Thorgrem those are great features, but according to early reviewers the EVF and Screen are awful for a $3,000 PRO camera, that's not good. Also, the 7.5 stops IBIS is only compatible with one lens. I agree with you on everything else. The virtual ND seems useful. Looking forward to see an update of the E-M1 Mark II. Lol @awefull. People who actually worked with this new camera for months say it's a joy to use with 120 fps refresh rate and outstanding optical design. If it's not for your taste than don't buy it. 7.5 stops is compatible with all Olympus IS lenses. At the moment 2, the 3th is announced and naturally others will follow. Also looking forward for an update of the E-M5 Mark II and PEN-F.
Nearly every single reviewer but 1 has stated the EVF is significantly improved and most have indicated its excellent to use with zero lag. A camera cannot be judged by the sensor size alone. It is a system camera and build for pros, not amateurs like yourself. Too bad that I need 100 FPS, because 60 FPS is not enough! More FPS is so useful. Funny to watch you guys on video and experience your "screen presence" ;-) after reading your reviews and other articles for years (especially Richard.) You've done short videos before, but this 25-minute video (with no accompanying article) seems like a new format for DP Review editors. Well done. Please don’t use hard multichannel audio mix in your video reviews. It’s distracting. 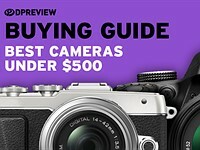 Other camera sources have scooped DPR, revealing that the much-anticipated Olympus PEN F Mark II will likely be released in late February 2019, with comparable 20MP MFT sensor and upgrades to AF, etc., similar to the new OM-D talked about today (https://www.dailycameranews.com/2019/01/olympus-pen-f-mark-ii-registered-to-be-announced-in-2019/). Great, so long as Olympus gets rid of the flimsy plastic battery door that marred the 2016 PEN F! The digital camera universe more than ever needs a high-capability super-compact mirrorless MFT with interchangeable precision lenses such as only Olympus is able to offer. The Olympus rumor information you gave is certainly interesting to those who follow Olympus & MFT. But your lead sentence that "Other camera sources have scooped DPR..." is not really the case and is, I think, a misleading criticism. DPR simply does not trade in rumors or "insider" scoops - in large part because they constantly get official insider information under NDA. Occasionally they discuss unreleased products in the context of teaser ads or interview comments by the manufacturers. But if DPR were to pursue back-channel rumors a la 43rumors, PhotoRumors etc., they would quickly lose their access to official pre-release information & equipment. To be "scooped" in the world of journalism you have to be competing for first publication of unreleased information. DPR specifically doesn't do that - I don't speak for them but I would venture that their goal is to publish the most interesting, complete and correct information, quickly upon official release but specifically not before. Hi guys ... this was a great attempt! there is loads of insights that only insane, obsessed readers wanna know and through this we can find out all about it very easily. I'm glad you found it useful. It's certainly something we'd like to try again (and get better at), if it's useful. Can you comment of camera's additional sensors; it appears the camera is loaded with a host of different sensors; environmental?, barometer? humidity? motion sensors? and it apparently can adjust itself to the flicker rate frequency of light in artificially illuminated spaces …? Can you comment on all these please? There's a 'Field Sensor' mode that can be engaged, this tracks pressure, compass heading, temperature and acceleration in a log file (much like the Olympus TG Tracker). Separate from that is GPS tracking. And yes, there are flicker reduction modes for live view and shooting (that try to sync the shutter firing with the brightest point in the light's flicker cycle). There's also a Flicker scan mode that lets you adjust the shutter speed in tiny increments if it's clashing with the refresh rate of something in your scene. Except they aren't gimmicks. And it is pro level. And it is doing things no other camera. And. It. Is delivering great IQ. And it is cheaper than its FF peers. Basically extreme low light. That's basically what FF has. And pretty much, that's it. And now Panasonic can announce the gh6 for $2000 and kill this pretty quick. They can't. The amount of tech in E-M1X surpasses many more expensive cameras and offering it all at a really low price considering everything. Panasonic cannot match that, it is totally beyond their development focus. Not a chance. Theyll still to excelling in video. But they won't beat this feature sett. They do not have to kill it with a price, they can kill it with an APS-C or FF sensor. I do not see pros stepping down to a smaller sensor, no matter how much tech it contains. In the US, a lot of tech is being put into small cars, but people are moving to larger cars because of the more comfortable driving experience. Small cars have been left behind. M43 still has its Achilles heal. You can put a dress on a pig, but it is still a pig. I think you hit it spot on. Small cars are good, but the US isn't interested in what the rest of the world think of as medium sized cars, let alone small. In Japan a backyard garage can weld the front suspension of your skyline forward an inch for better balance, and rebuild the little 6 cylinder to run 700hp. The US sells mustangs with suspension from a wagon that spins tires and goes in a straight line. Both cars are good but supply different markets. In Australia Ford sells a U.S. $80k sport sedan with an interior that can only challenge a base model Toyota. I'm interested in how this focuses traditionally, using a stick to select focus. Canon's 1dxmk2 doesn't track very well either, the d5 kills it. The tracking war continues but it wasn't that long ago it might have been praised for incredible af-c accuracy. The new Pany GH6 with 4k at 120fps and 1080p at 240fps with an all new 24mp sensor and improved ibis and better phase detect af,all for less than $2000 certainly will kill the overpriced em1x! 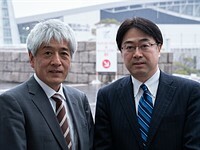 People compare the Olympus with Panasonics. Remember that this Olympus is focused on the professional, with features to match, while the Panasonics are very well featured cameras for the enthusiast. There's quite a difference. What “pro” features exactly? You mean the price? A tiny sensor compared to full frame. (Or even APS-c) Oh, it does have a massive body so that kinda makes you look like a “pro” when holding it. Low light is going to be bad and hardly something a pro will want when shooting sports. Look, it’s a nice camera. It’s just not a $3000 camera! They’ve made a huge mistake going that route. $1200-1500 much more realistic. 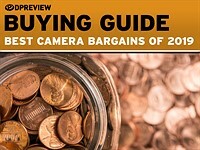 These camera prices should be going down and not up! Especially when you’re using the same updated sensor just thrown into a new body with a few cute gimmicks that “pros” don’t care about. 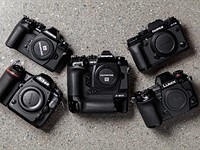 - The new wireless flash trigger (let's for a second forget about the price vs the competition) - is it only for the older gen cameras, or do we need it also for the E-M1x ? Is wireless flash triggering (radio) integrated in the camera ? - If not - what sort of flash comes with the camera, and is it compatible with the old pre-flash activated RC system ? Firmware updates for a lot of older bodies were release in the last couple of days. I only looked at the E-M1 Mk1 update - 'cos that's what I rock - and it was specifically to enable use of the wireless trigger. So I assume that would be the case for the other models too. Well it sounds logical that the existing cameras would be updated to be able to use the triggers. I was wondering about the E-M1x. That one should have had the trigger built in (if it doesn't). All the Olympus m4/3 cameras has had 800 AF points since the E-P1 IIRC. You do that by using a magnification up to 14x when you need to do pinpoint focusing. You need to choose how does the AF operate then, like does the magnification dissapear when you half-press or is it kept and only when taking photo it is in full frame. Olympus has always majored on stills, not video. 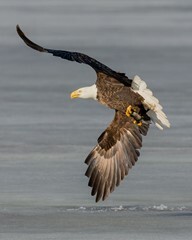 I believe they are targeting sports and wild life pro photographers who are more into stills. All the angst about AF issues that Chris described yesterday is completely at variance to what these guys are saying - 99.9% hit rate! I guess Chris had an off-day. damn 3k bucks of four thirds. Not that high bitrate, behind Panasonic at least. And only 30p. and yes, to be fair, I think it might be a variable one....like in the em1 mark 2. I guess I felt compelled to comment because the sensor size isn't the only determinant of price. Yes, if it was a super tiny sensor and it shot 4k, who cares. But this is micro four thirds. Smaller than full frame, but not tiny by any means. Nikon D5's sensor has less resolution and lower dynamic range than even D600's sensor and D5 costs waaaaaaay more. Hell, even D3300's smaller sensor has more or equal dynamic range! @ozturert - That is why pros like the Nikon D5 so much(sarcasm). but they do - when shooting sports nothing was even close to D5 for a long time. Seems that Sony barely matched it with new A9 firmware. Ozturert. You're absolutely right. There are waaaay too many trolls on this forum criticising the camera without looking at the bigger picture. Olympus is targeting this camera at pros, not amateurs like us. It is half the price of a D5 and yet has far far more features than it. It is also completely weather sealed, something that even Nikon will not guarantee on a D5. That's a huge plus for action photographers who need to be confident in their cameras delivering the goods, whatever the weather conditions. That's why this camera is build. The new features sets will gradually filter down to other Oly camera, I'm sure. I'll buy them instead of this totally pro-oriented camera. Thank you Olympus. Why still only 2 multiple exposures instead of 10 like in the Nikons, or 9 in Canons? With auto gain and on continuous...all that processing power and still not available!! A firmware should address this easily. Are EVF and the display on the back color calibrated to each other? I haven't seen that on any mirrorless yet and the huge difference is a big drawback in user experience compared to DSLR to me. How so? You're seeing something drastically different through the OVF and LCD on a DSLR. The EVF and LCD on a mirrorless are linearly 100% the same view, minus, as you said, color. Many mirrorless cameras do have a tint or temp adjustment for the EVF, though. With the OVF, I can see the scene how it is an adjust the settings accordingly to my experience. With the EVF, I have to rely on it, trusting that it will show me the correct colors. Then I check on the display, colors are all off. It's very confusing. And no, so far, I have not been able to adjust the colors on the screens match. I've been on Photokina and tried them all. No service from Nikon, Canon, Panasonic, Olympus, Leica, etc. was able to get the right setting. I wonder how nobody is seeing this as a problem, especially nobody at Dpreview. @3pgrey I wonder how such an aspect can be neglected so much, even an Iphone is advertising its color accuracy of its display, and the camera displays, where it is much more important than on a smartphone, are of much lower quality, and worse, not even consistent on one and the same device. 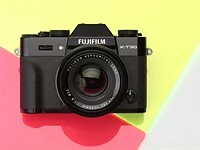 It was sad enough for DSLRs that the displays were not correct, but now on mirrorless, the user experience is just off. 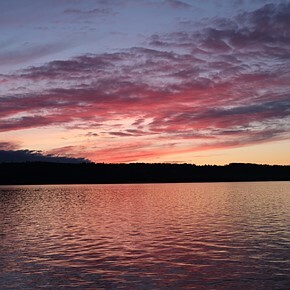 "With the OVF, I can see the scene how it is an adjust the settings accordingly to my experience. With the EVF, I have to rely on it, trusting that it will show me the correct colors." You still see the scene when you look at it normally with both eyes. Your eye isn't pinned to the EVF full time, or you'd never be able to switch lenses or walk around at anything faster than a tiptoe. "I wonder how nobody is seeing this as a problem, especially nobody at Dpreview." Most shoot RAW, which means settings that control these things are irrelevant. "and the camera displays, where it is much more important than on a smartphone, are of much lower quality, and worse, not even consistent on one and the same device." Apple has a ridiculous markup on their phones, At least 3-5x as much as cameras do. They have enough extra cash lying around that they can spend time calibrating each and every phone. "Best Superzoom 2014: Eight competitors, 2.5 clear winners"
Why wouldn't they use a new, higher resolution EVF? At this price point, it's not like they couldn't have afforded to.. I agree. 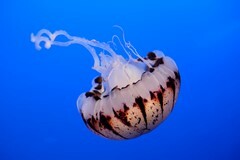 I enjoy using Olympus cameras, and my personal one is the em5 mark 2. But seeing that they didn't include a higher res EVF when those exist, at this price point....definitely a surprise and disappointment. Sony A9 has a horrible LCD (and A7R III, and A7 III). I think A9 also has a similar EVF to EM1 X. The reason may be to be able to have 120hz refresh rate in EM1 X.
A9 has 3.6M dot EVF while EM1 X only has 2.36. Dear Lord, it's a higher magnification and higher refresh rate which have distinct advantages. It's improved. It's Not the same EVF. 4sofnature, A9's EVF is 60fps at 3.69 M dots. Its number of dots decrease at 120fps. 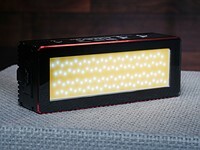 a9 & a7 EVF is OLED! 9& R3 has improved brightness/contrast. It's said EMX using LCD as its EVF?! What's the problem with the EVF? The same EVF is praised by all, including DPR in the E-M1 Mk II. Indeed, as they said, the refresh rate is so good that it is a joy to use. I actually do not like the very high contrast that you can get with an OLED display on the Sony or Fuji. In bright light, it is so contrasty that it is difficult to see anything in the shadows since the highlights literally mask any shadow details. As they say, too much of a good thing can sometimes be bad. There was a slight delay between the end of the stream and when we were able to make the recorded version live. It's back up now. Also, pretty please: Would Olympus bring back the C-AF+MF mode that we had in 4/3 cameras ? It allows us to give a little focus "nudge" to non-SWD 4/3 lenses in C-AF, where the fly by wire manual focus ring won't do a thing when turned. q. Can users of the Olympus micro 43 system expect to see the fast pro prime [f1.2] range extended to more focal lengths in the near future? 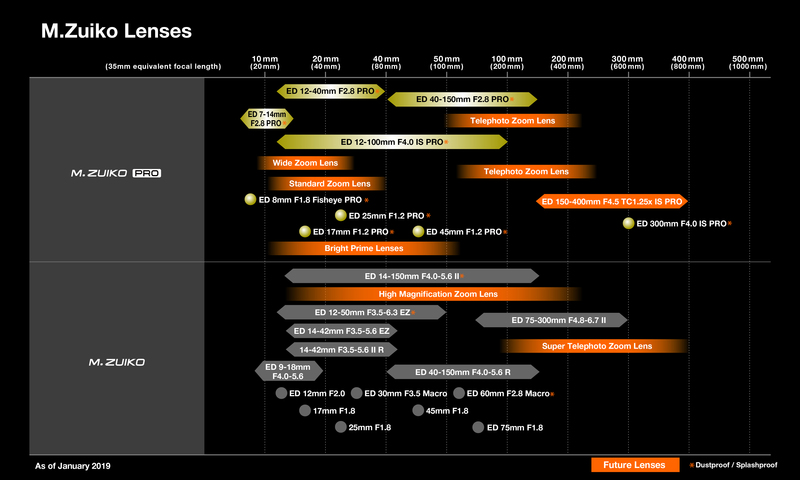 Particularly, do Olympus see a need or demand to make a wide angle prime lens with a fast aperture such as a 12mm f1.2? We don't know the answer to that one just yet but we'll try to find a way to ask it, next time we meet with them. In the roadmap the future "Bright Prime Lenses" bar seems to go from around 12mm to 60mm. I would be interested to hear answers to the following questions, if possible. q. there has been some criticism for the implementation of the evf on the Em1x, particularly its resolution and the fact it is quite a dated component that was used in previous models. What are the expected advantages of using this specific component rather than say a more high resolution or possibly an Oled component as many competitors have chosen to do? q. Given the increased in body volume of the Em1x and the advantages this could have for heat dissipation, as well as the addition of a second image processor, why is it that the video features of the Em1x are the same as the older, and smaller, em1 mk2? Specifically, I am referring to the 4:2:0 colour space, frame rates, and bit rates being the same as the Em1 mk2? Is the camera capable of recording higher quality video and is this something that might be implemented via firmware in the near future? From an Em1 mk1 user. Olympus said that they couldn't get the lag time down as much with OLED displays. They may have considered it preferable to offer a more lifelike update, rather than additional resolution. Also, bear in mind that: while other brands have 3.6M dot panels (25% higher linear resolution), they don't always display a high res image on them. My guess (and it is just that) is that Olympus focused its development efforts on AF and sports shooting, hence the relatively minor updates to the video spec. As you say, the larger body and heat dissipating design combined with twin processors should have allowed more (and Fujifilm/Panasonic show it can be done). That’s interesting. Fuji introduced 5ms viewfinderlag in the X-T1 with oled evf and has since had the same lag on oleds in the t2 and t3. I read elsewhere that, as Mr. Butler indicated, they did prioritize minimizing lag in the EVF over color or res. The result is 5ms lag, 120HZ refresh, progressive scan (versus interlaced). I don't know how this compares to other EVFs, but the 120Hz and progressive scan both reportedly improve the experience in fast action situations (mirrorlesscomparison.com review, I think). When using the "deep learning" AI-type subject tracking, is the camera still using phase-detect points to achieve focus? Also, have you tried using the airplane mode on birds in flight? Curious how particular the modes are. It was rumored that despite having the same sensor as E-M1.2, the IQ performance has been (at least marginally) improved (better noise control, DR, etc.). Have you see any evidence of this? Not yet, but we've shot the studio scene and will be publishing it soon. Thanks, and thanks for answering my other question on the Live Q&A. 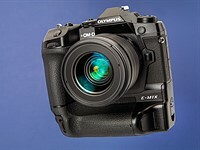 - Do the Oly people think we don't realize that grip put aside, this is what we expected the E-M1mk3 to be, NOT with another $1000 price raise on top of the mk2, and NOT with a 6 years old EVF module ? - Will someone kindly test this camera with 4/3 Zuiko lenses (SWD and non-swd) ? Will the compatibility with 4/3 lenses be preserved to the level of the E-M1mk2 ? - Can we have the MyModes (toggle custom mode on/off with a button press like in the old times, the custom modes on the dial are a wonderful and long awaited feature, but it doesn't negate the utility of MyMode) back ? - Can we have back the ability to toggle between different AF point clusters (between single and multiple) with an Fn button, AND be able to use the same button (press + dial turn) to change to the other AF point modes, like we used to on the E-M1mk1 (yes, the mk2 allows toggling AF point clusters but then holding the same button and turning the dial does nothing - we have to use a second Fn button for that) ? They're not called My Modes but, you can now assign 'Custom Mode Cx' to the custom buttons listed in our review in progress. These toggle in and out of those custom modes. Does this answer your question? Will there be a firmware update to the EM1.2 improving the AF in both still and video? I have many questions and feature requests. Sadly few of them relate to the EM1.X 1: Can they please allow the power switch to be remapped to another function (specifically if the dual control lever has been reassigned to power). 2: How about allowing differential shutter release modes upon which shutter is pressed when using a OMD body with a grip e.g. E-M5.1 and E-M5.2 (e.g. single release with the original release, burst with the grip release). 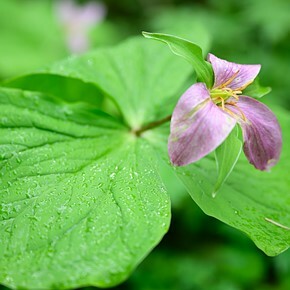 4: When can one expect a m43 / 1" tough camera. 5: Will any of the new AF protocols become available on older models? If you are able to ask any of these questions I would be extremely grateful. Yes. Ask about a m43rds Tough camera. An EM10 sized camera with Tough lenses 12,17,25,45mm 1.8/2 would be amazing. Does this camera have a “real” multiple exposure function, where you can shoot at least 10 exposures in a single frame, like the D850, D7500, D5 and other “Pro” cameras. 2 frames only, so far as I can tell. 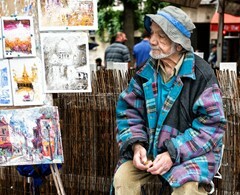 1) Is there any improvement in RAW image quality? If yes, about how much? 2) One of my big issues is that there is no EM1 II JPEG setting that gets close to the RAW tonal range and helps you expose RAWs correctly (unlike the Sony HLG option which is perfect for this). Are there plans for JPEGs with a wider tonal range, especially in the highlights where the EM1 Ii clips too soon? Not sure if the new Log profile can work for stills or would be a good fit. There's 3 time zones in Europe. Which one do you actually mean? Thanks.. We added the time zone to the table to clarify. Honestly, just quit. It's an outstanding feature set. It's hardly the harbinger of olympus demise. It seems the E-M1X provides almost NO improvement in its image quality. I have expected that some of crucial parts - LCD, EVF - would have some improvements in their pixel counts, but Olympus failed us. So, my question is - You guys also said that the E-M1x has one of the fastest electronic shutter, but according to its X-sync spec in E-shutter mode, which is 1/50s, looks JUST SAME AS the E-M1Ⅱ. I really wonder that how much Olympus have improved the readout speed of their precious 20MP sensor inherited to their E-M1X. I'm not going to be staying up until 4am to watch it so I look forward to watching it after it's been recorded. -What features, if any, can we expect to find filtering down to the lower end models? -It's a big and heafty body for m4/3, are we to expect some faster (read larger) lenses to be paired with it? -Is the subject specific traking going to be extended to subjects like birds in flight? We did our best to pick a time that was useful for multiple time zones but there's only so much we can do in that respect. We don't know for sure which features will trickle down, but I'd expect the subject recognition aspect of the subject tracking to do so (it'd be hard to justify the development for just a single model). Of course it may not work so well if it's applied in tandem with CDAF, so we'll see what they decide to do on that front. Olympus hasn't told us of any plans to extend subjects beyond the three already specified, but in principle you can generate more algorithms using the same process. 'Birds' can look very different to one another, of course, but this implementation has the advantage that the user tells the camera what to look for. I still use the OM-D E-M1 Mk1 - served me brilliantly, as a professional architectural photographer, on a gazillion shoots. 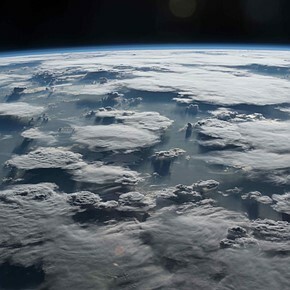 - The most important factor for me, is not the high speed that it is being touted for, but if there is a significant improvement in dynamic range? - Also, the USB cable release on the Mark 1, must be the worst designed cable remote ever - for just about every shot, I have to wiggle the connection for it to function. Is there a new remote cable/connection?!! From Franz Rabe - an Olympus OM-D Ambassador in South Africa. the high res mode would probably have a positive impact on dynamic range. I hope DPR test this. I would also be interested in dynamic range in the high res modes. I see that the image resolution is different depending on hand-held vs tripod mode (presumably because the stacking pattern is different, depending on whether the IS system also needs to compensate for camera shake). Is there also a difference in dynamic range between the two? How customizable is the Multi-Shot mode, ie is there a way to prioritize DR vs short capture time? Related, how effective is the ND mode in preventing clipping? I have the em1 mk2 and can say that it's dynamic range is better, maybe half a stop? But definitely better than mk 1. This em1x supposed to be the same as mk2. 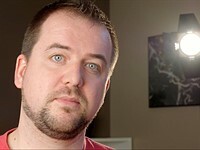 I found the highlight recovery of my EM1.2 to be significant improvement over the EM1.1 sensor. We've shot our DR test in High Res (tripod) mode as well as single shot, so we should be able to show the DR benefit of shooting multiple shots. We've not shot the hand-held mode. And I wouldn't be confident that it uses all 16 images every time, so I wouldn't be confident you'd get an additional noise/DR benefit. Some reviewers have demonstrated increased DR and SNR for the handheld HI Res already. They have also indicated it is capable of the highest IQ available out of Sony Nikon or Canons flagship cameras. Shooting architecture is a prime candidate for it. I can see this as a big benefit to architectural photography, some places don't allow you to bring in a tripod so handheld hi-res mode would be a great advantage. 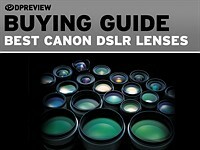 I think many DPR users were expecting information about new lenses, if not an actual release. 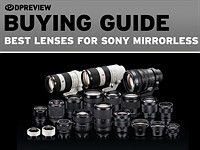 Can you shed any light on upcoming lenses? 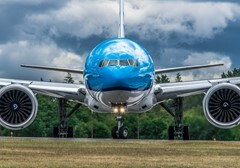 Can you clarify the availability of the 150-400? I appreciate the work you are doing and I hope the new camera does well, but I'm not interested in a new body. Chris and Jordan recently reviewed the Olympus E-M1X as a camera for still photography. Now they're back with a whole episode about its video features. Watch to find out where this camera really excels – as well as a couple places where there's room to grow. We've been shooting with the new Olympus OM-D E-M1X for a little while now, both in and out of our studio. Our standard studio tests show that conventional stills performance is little changed from the E-M1 II, but its high-res Pixel Shift mode is still impressive.